I thought I had posted this up earlier in the week (apologies to Toberz, who I told to look for it here but it wasn't) but later is better than not at all. 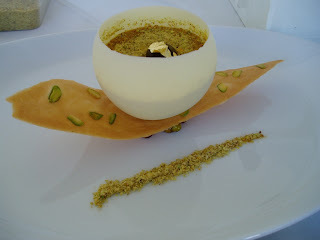 Last Sunday I competed in a chocolate dessert competition and came away with a bronze medal. Wasn't happi at first cuz I thought I deserve at least a silver but when I look back it was fair. The comp was held at the Hunter Valley Gardens (www.hvg.com.au) so if you ever head that way do drop in. The gardens are absolutely stunning with different themed areas. I would have taken more pics except mah cam's battery died, something that wouldn't happen in SL when u take pics. I was too nervous n excited to rememba to recharge the batt the night before.